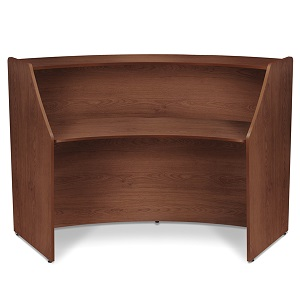 The front of your office can be complete with the simple addition of a Reception Desk. 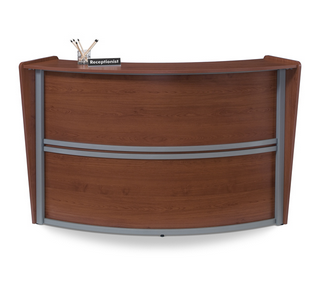 These classic Reception Station feature a unique laminated wood and silver trim that takes it from being ordinary into being extraordinary. Invite your guests in and they will come back again and again. What are you waiting for? Order yours today!